A Hawaii electric vehicle rebate program has run out of money after doling out about $2 million since January 2011. The state extended the program twice, adding $500,000 in an effort to stimulate demand for electric vehicles as a way for Hawaii to work toward reducing the state's oil consumption. Hawaii seeks to become 70 percent energy independent by 2030. But high consumer demand led to depleting the fund earlier than expected, the Honolulu Star-Advertiser reported Friday. Funds ran out earlier this month after the state issued more than 450 rebates. Officials had hoped to keep the program going until November. The program provided motorists $4,500 toward the purchase of new electric vehicles and up to $500 for chargers. "The public demand has exceeded expectations, and we are happy to report Hawaii consumers are adopting EVs (electric vehicles) much more readily than the national average," said Mark Glick, energy program administrator for the state Department of Business, Economic Development and Tourism's Energy Office. 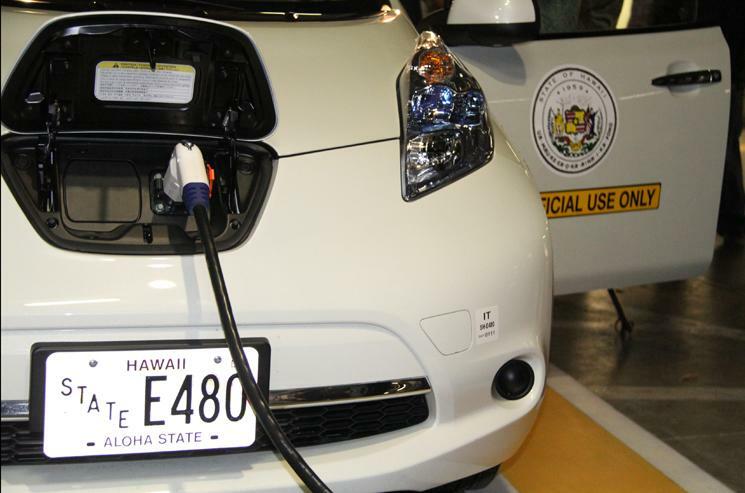 Hawaii also awarded $2.6 million in federal stimulus grants toward more than 230 public charging stations statewide. 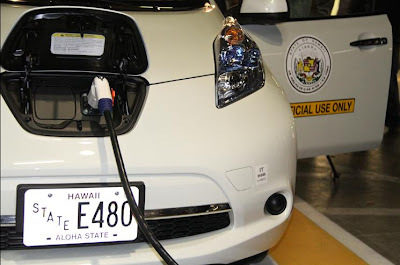 There were 422 highway-capable electric vehicles sold in Hawaii last year. There were 361 Nissan Leafs sold, which were introduced in Hawaii last year. Mitsubishi sold 31 of its all-electric vehicles. There were 30 plug-in hybrid Chevrolet Volts sold. Electric vehicle drivers on the islands don't have to pay for parking when they park in a metered spot, and they may drive in carpool lanes on freeways. Federal tax incentives of up to $7,500 are still available.